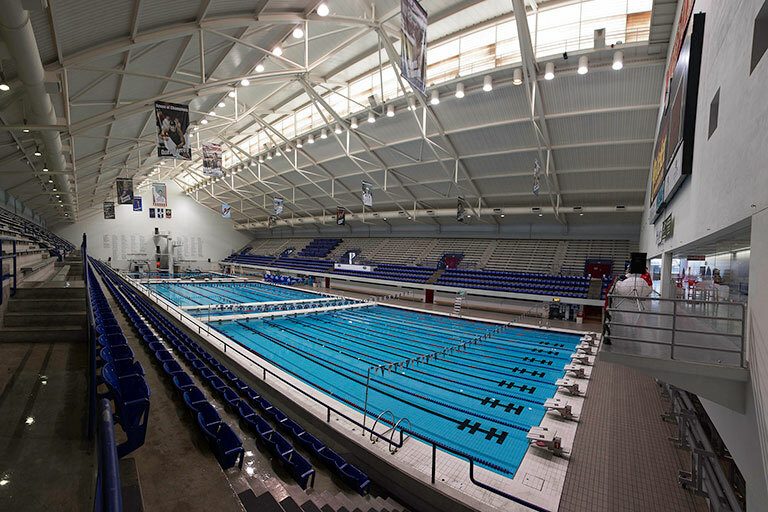 IU Natatorium prior to renovation. 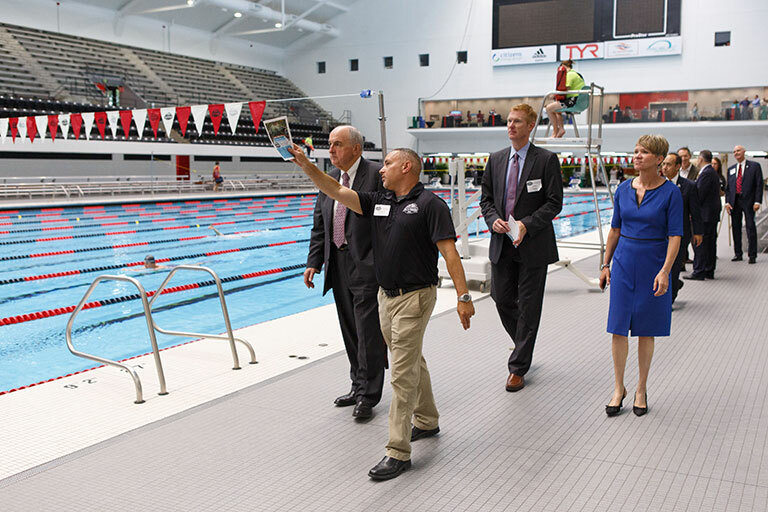 President McRobbie and other guests are led on a tour of the remodeled IU Natatorium. Chancellor Paydar signs commemorative poster prior to the IU Natatorium re-dedication. 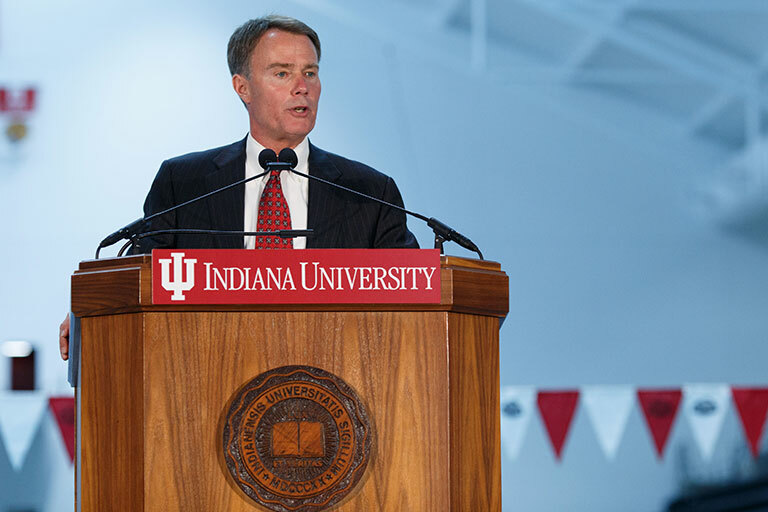 Indianapolis Mayor Joe Hogsett at the IU Natatorium Re-dedication Ceremony comments on the important role this venue has played in the community. 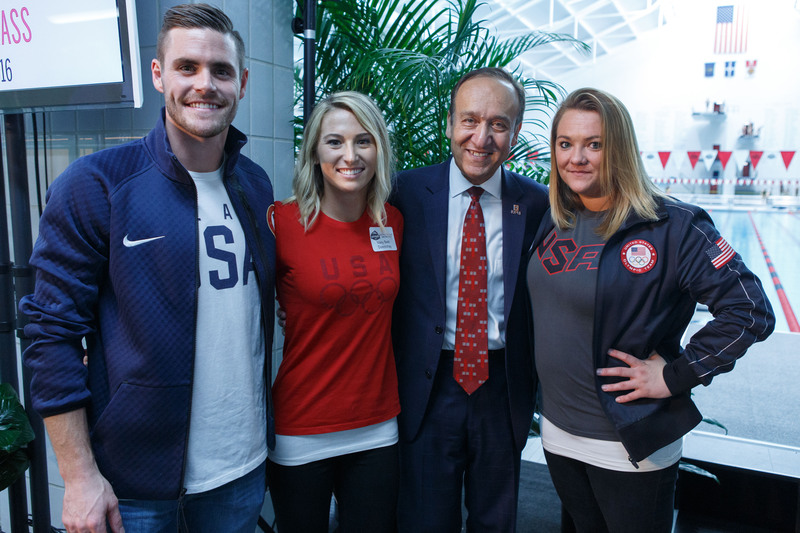 Chancellor Paydar with Olympians David Boudia, Kelci Bryant and Mary Beth Dunnichay at the IU Natatorium Re-dedication Ceremony. 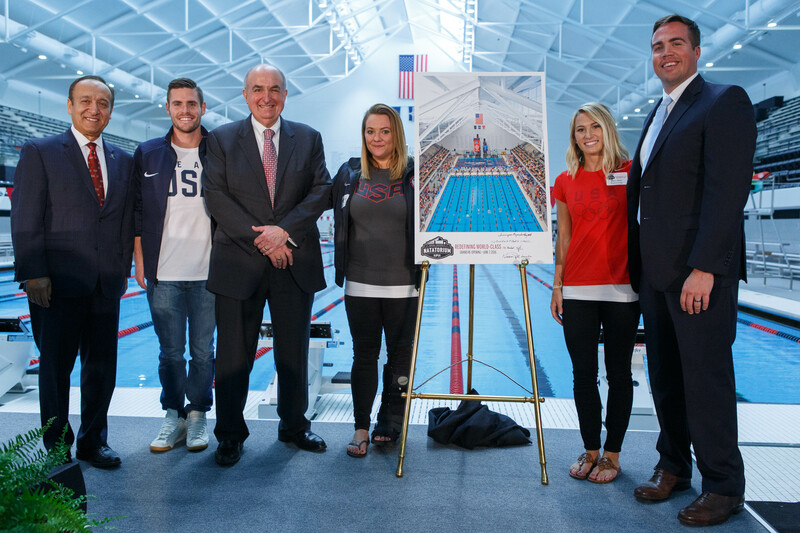 Chancellor Paydar, David Boudia, President McRobbie, Kelci Bryant, Mary Beth Dunnichay, Ryan Vaughn, President of Indiana Sports Corp., gather after the IU Natatorium Re-dedication Ceremony. 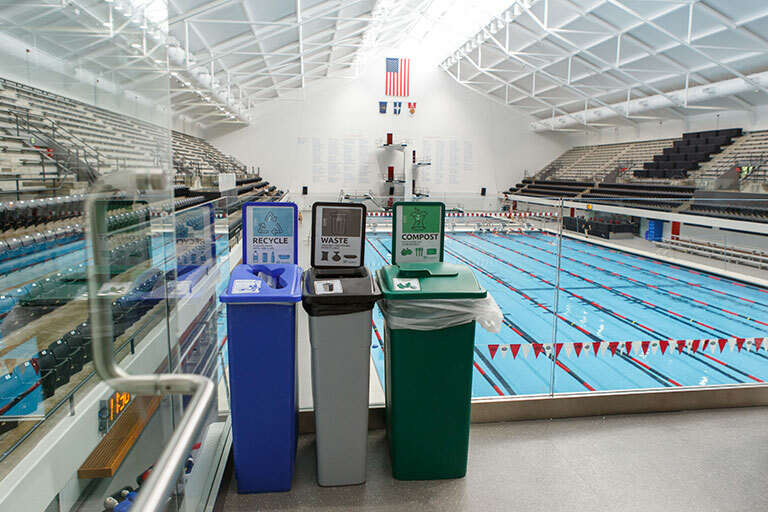 The world-class IU Natatorium at IUPUI will operate as a zero-waste athletic facility. 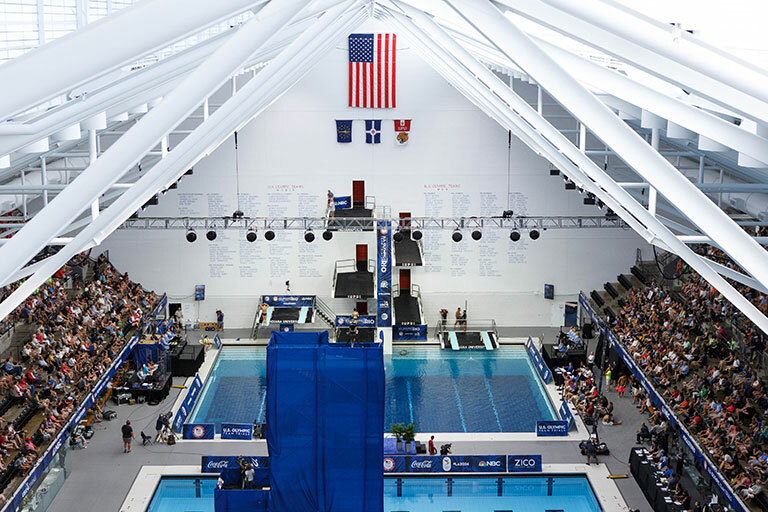 Panoramic view of the 2016 Olympic Diving Trials, the first event held after the renovation of the IU Natatorium. Olympic hopeful in the IU Natatorium dive pool at the 2016 Olympic Diving Trials. 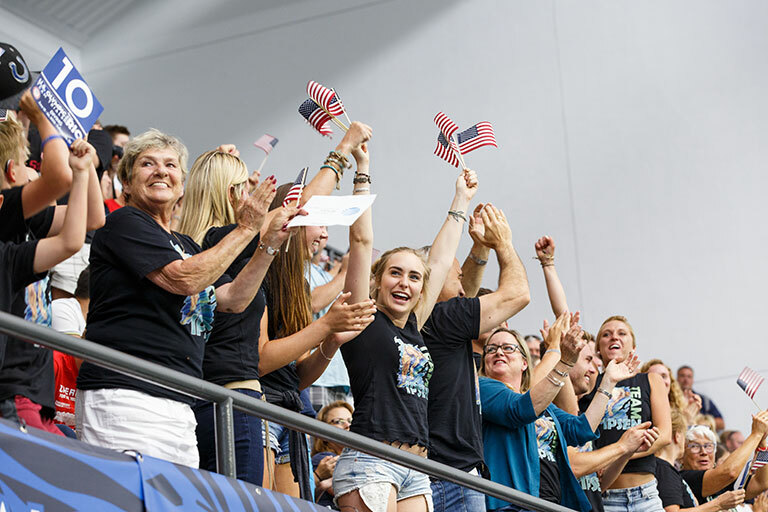 Spectators enjoy the 2016 Olympic Diving Trials, the first event to take place at the IU Natatorium following its re-dedication. Check out Natatorium Re-dedication speech.